(Panax notoginseng) This is a key dietary support to optimize circulation and to enhance defense system balance. Widely used by Chinese doctors who are known to hail Tienchi Ginseng as the "Miracle Root for Preservation of Health," and because of its isotonic properties, botanists have classified it as an adaptogen. Scientists have found Tienchi to contain two important constituents: saponins and flavonoids. Saponins, the primary active substance of ginseng, are known as ginsenosides, of which there are many. Flavonoids, or bioflavonoids, play a major role in nutrition. 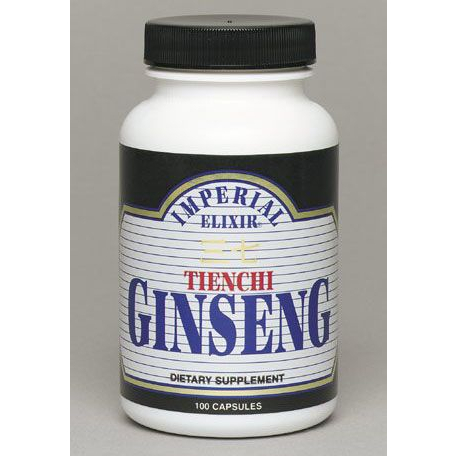 While most ginsengs are deemed to be either yin or yang in action, Tienchi is considered to be neutral. 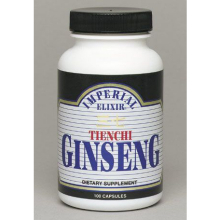 Tienchi Ginseng -- Each capsule contains 500mg of Tienchi Ginseng root powder from the Yunnan Province of China. 100 capsules per bottle.